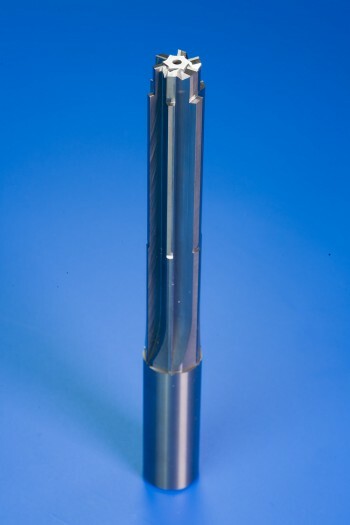 We manufacture solid carbide end mills for the machining of various materials such as aluminum, various steels and cast materials and for plastics processing in accordance with DIN or customer drawings. 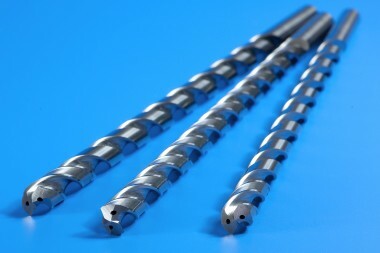 We also offer specially developed solid carbide end mills for the machinig of hard-to-machine materials such as titanium or Inconel.When manufacturing our tools we only use solid carbides from renowned manufacturers, which are up-to-date with the most recent developments. By using standardized incoming goods inspections in-house, we always guarantee that you recieve the best material. We would be glad to design your tools according to your specifications. We provide you with step drills according to your drawings. 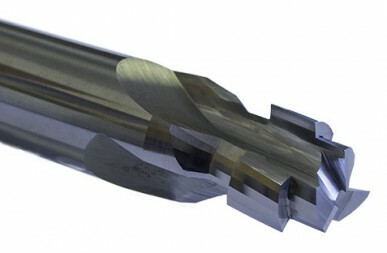 Using step drills it is often possible to combine several machining operations in a single tool. This both saves time and is economical. 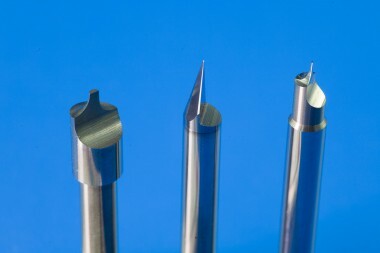 For example, operations such as spot-drilling and deburring can be performed with one tool. 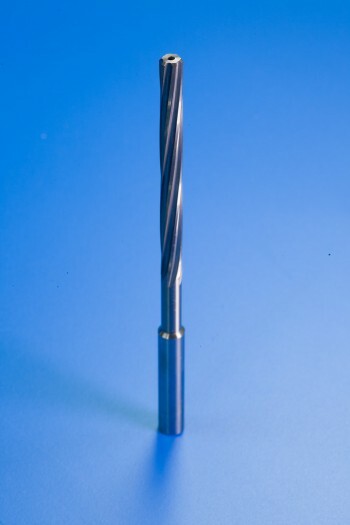 Our reamers, made of solid carbide or cermet, are made for finishing of drillholes. 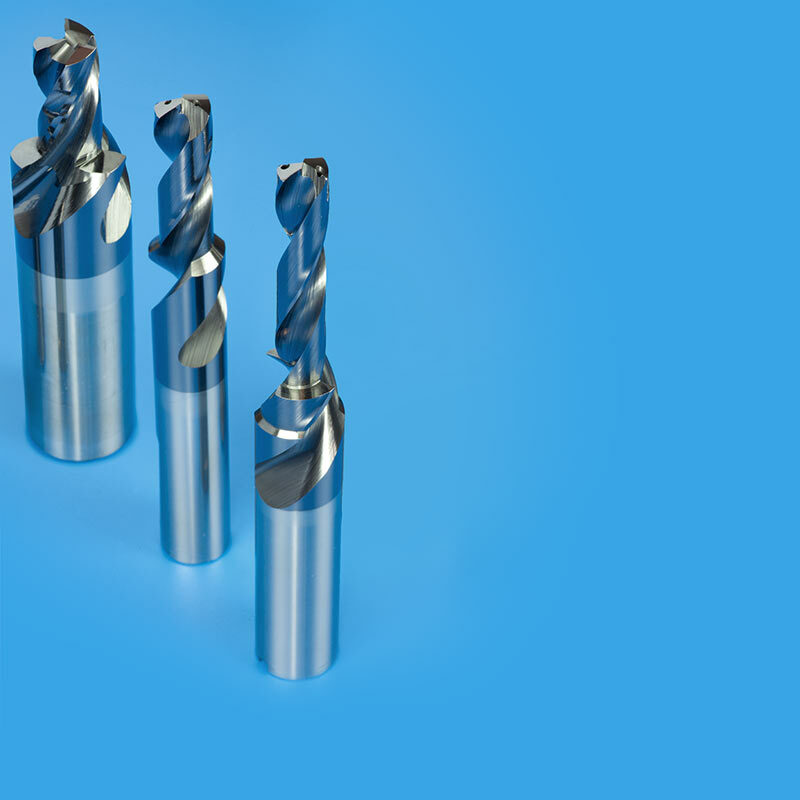 As with all of our precision tools, we guarantee optimal material quality and the production of modern 5 or 6-axis CNC tool grinding machines. 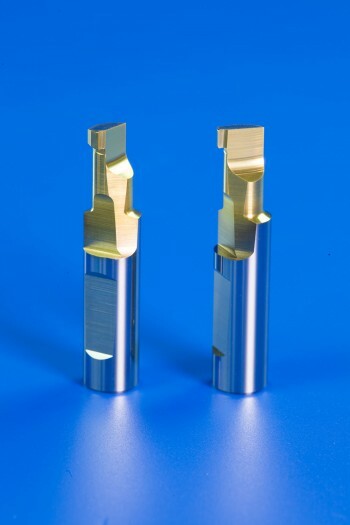 Nowadays, when producing complex shapes, for example in the aerospace industry, in the power generation industry and in medical technology, form cutters have become established as the ideal application solution. 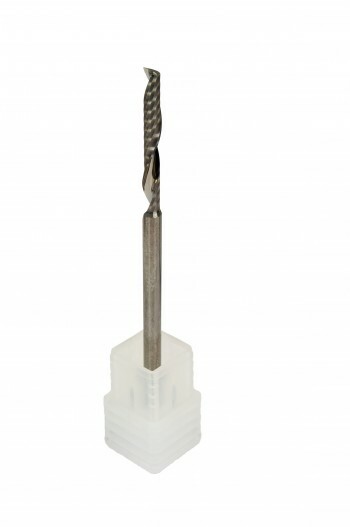 Using profile tools made of solid carbide, the finished contour is formed in just one step. 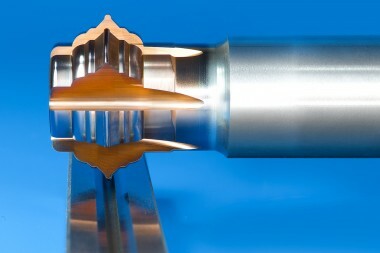 Thus, complicated shapes such as blade-profile grooves, gears produced by means of a single-part process or dove-tails can be produced to a high level of precision. 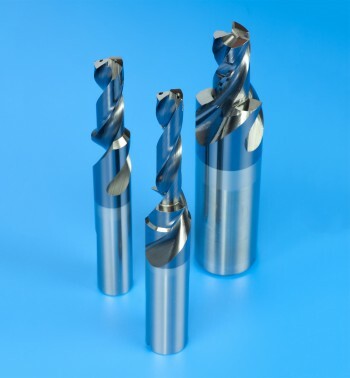 We produce tools that have been optimally adapted to your machining profile, with facet cuts or raised relief, and offer both the regrinding and coating of these tools. The result is a powerful profile tool with high dimensional accuracy within a tolerance band of just a few microns. These are just some examples of our production capabilities. 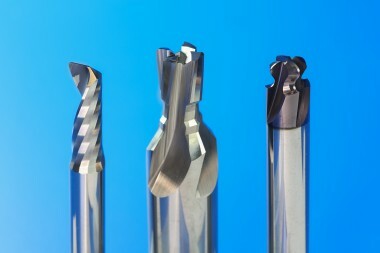 Using our modern CNC tool-grinding machines we are capable of manufacturing and regrinding various special tools.